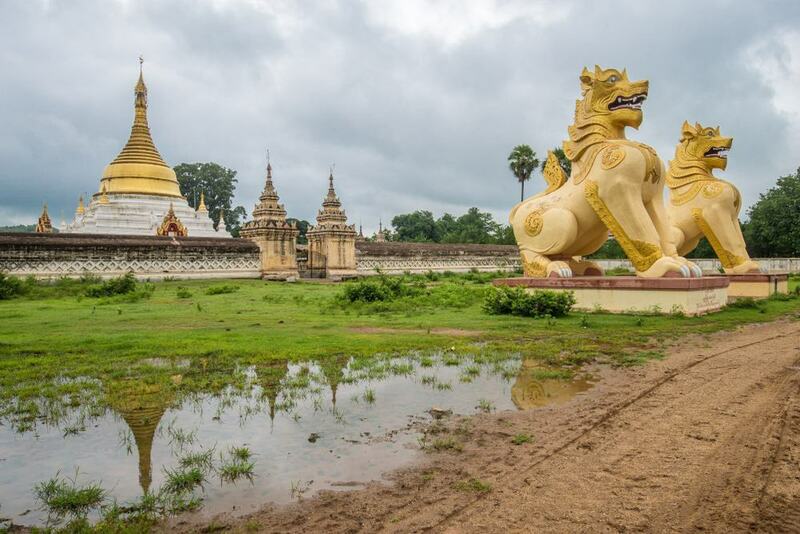 Monywa is a town located close to the more famous Mandalay and if you are traveling there from Bagan then it is absolutely worth stopping over in Monywa for the night or a few days to take in the sights. 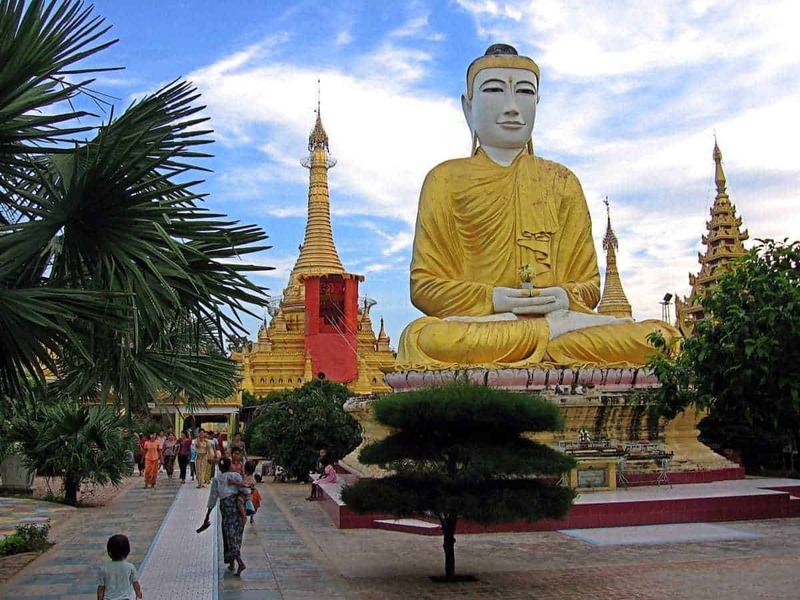 Monywa boasts a number of attractions of interest such as the second tallest Buddha statue in the world and there is also a scenic monastery here which is famous for have a collection of more than 500,000 images of the Buddha. You will also find a clutch of ornate traditional temples here, some of which are located inside spectacular limestone caves. Thanboddhay Paya is one of the most colorful temples in Monywa and also one of the newest. It is known for having a massive number of Buddha images and the roof is covered in small stupas which are decorated in sparkling gold leaf. As if that wasn’t enough, you will also find intricate obelisks here which are etched with Buddha images and rise to a height of some 30 feet. It is said that there are some half a million Buddha images here of all different sizes and in different positions, which makes it worth the trip alone. Monywa, like many Burmese towns, is located on the river and this is also a hive of activity in the city. 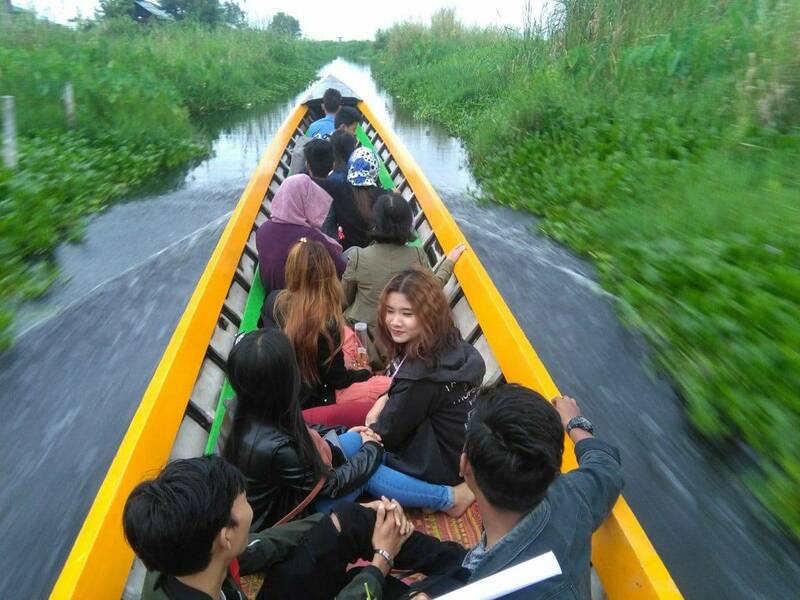 One of the best ways to take in the scenery of the river is to charter a boat and take a trip along this pretty waterway. Along the way you will be able to see the homes of local families who live on the banks of the river and this is a good spot to see how Burmese live and work in Myanmar. 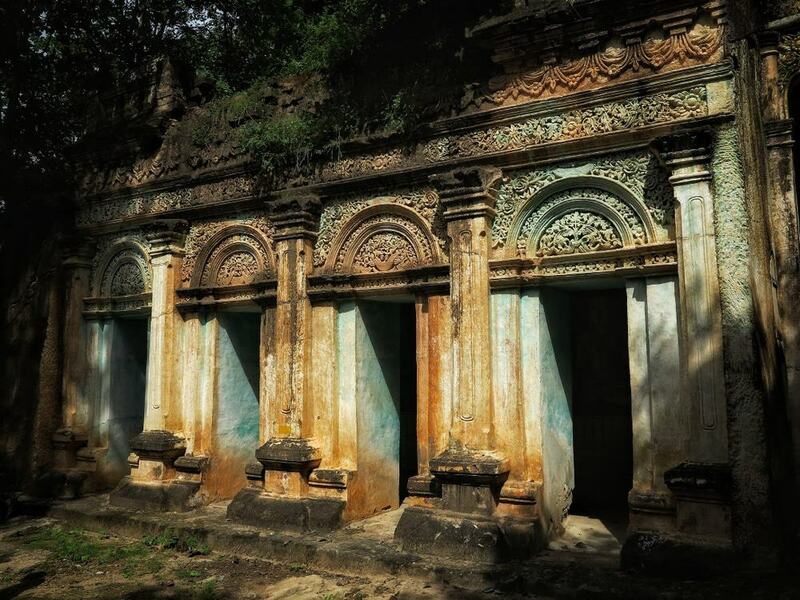 If you want to check out a bit of the local culture then head to this amazing complex which is said to have almost 500 Buddha chambers which are carved into the surrounding hillside which is made of soft limestone. The Buddha chambers dates from the 14th to the 18th centuries and although the caves are shallow, they are also quite a sight if you have never seen anything like this before. As well as the Buddha images in the caves, some of the larger ones are also painted with fabulous colorful murals telling local Buddhist legends. The Payagyi stupa is mainly known for having a large chinthe which is a deity that is modeled to resemble half lion and half dragon. The stupa sits looking over a hill and this is a good spot to take in some of the famous countryside around Monywa. You will also find a prayer hall here which is said to have teak pillars that date back some 170 years. It also has pretty stone tiles on the floor which depict famous legends such as the Ramayana. 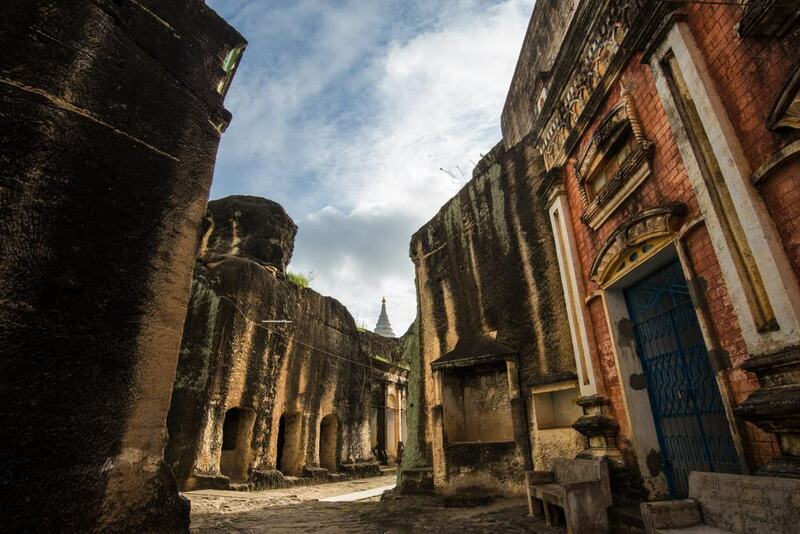 Shwe Ba Taung is located close to Hpo Win Village as is known for its 46 different caves. To get to the caves you will have to walk along rustic pathways cut into the side of a hill and some of these have a vertical drop of around 25 feet, so don’t attempt the journey here if you are scared of heights. Inside the cave chambers you will find a number of Buddha images which are less grand than in some other spots in Myanmar but the effect of the steps cut into the rock and the caves themselves is stunning. 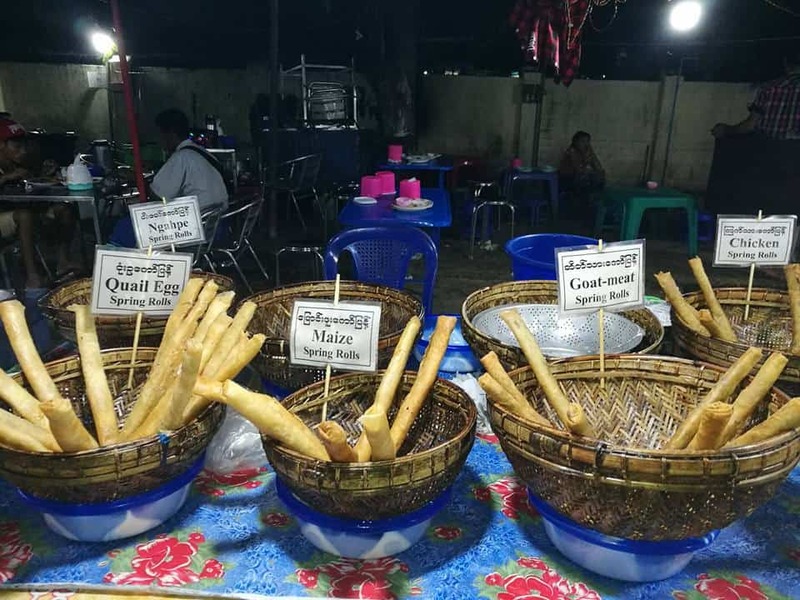 Anyone looking for cheap bites in Monywa should head to the Night Market which is located close to the local clock tower. You won’t find a very elegant set up here, as most of the stalls just feature little plastic chairs and tables, but you can get some delicious snacks such as juicy skewers of barbecued meats. This is also a good place to come to check out how locals dine in Myanmar and there is also beer for sale. Around 29 miles outside of the center of Monywa lies the Shwe Gu Ni Pagoda which is said to have been built in the 14th century. 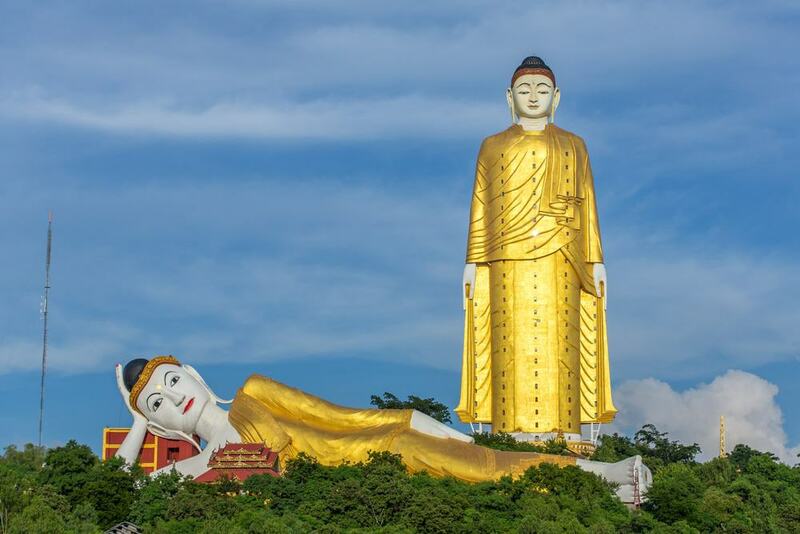 The pagoda is primarily famous for its Buddha statue which stands at a height of 33 meters. 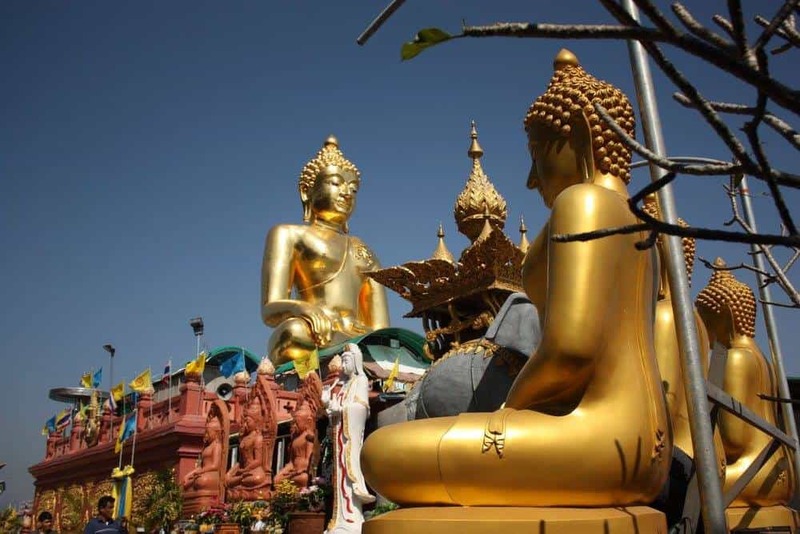 It is also covered in gold leaf foils as it is a custom for pilgrims to come here and attach the gold leaf to the Buddha as a sign of reverence. This is why, if you look closely, the gold leaf is several inches thick in parts and almost covers the face of the Buddha. Kyaukka Village is a serene village around 12 miles outside of Monywa so if you are looking for a day trip then this is a good choice. The village is known for its lacquer products, so it is also a prime spot to pick up some souvenirs if you want a memento of your trip. 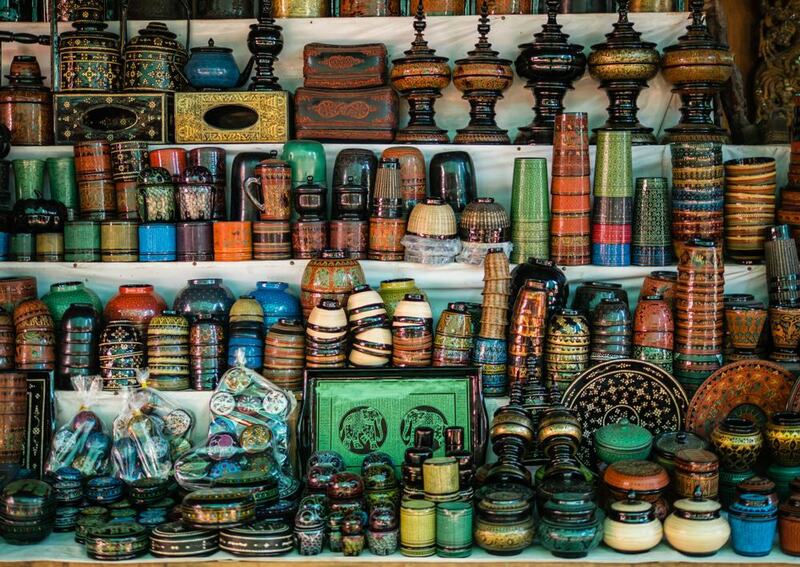 The lacquer ware here is known for being thicker than others kinds found in different parts of the country and is usually painted with black and gold designs. Laykyun Setkyar Standing Buddha was built by the monk Bodhi Tahtaung Sayadaw and is famous for being the second tallest Buddha statue in the world. It stands at a height of some 116 meters and sits behind another famous statue in Po Khaung Taung which is a reclining Buddha. To check out Laykyun Setkyar Standing Buddha you can walk up a set of stairs inside the body of the Buddha which is actually hollow and take in the ornate interior. This is actually one of the most famous statues in all of Myanmar and it took an impressive 11 years to complete which is a testament to the stunning craftsmanship. 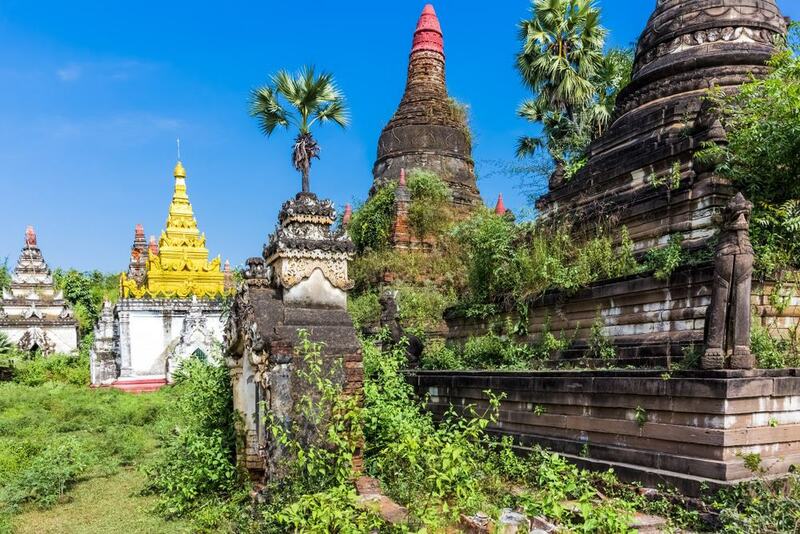 If you have a few days to spend in Monywa then think about heading out for an afternoon to the nearby village of A Myint. The village is known for having 300 scenic stupas and although no one is quite sure, they are said to probably date from the 11th century. 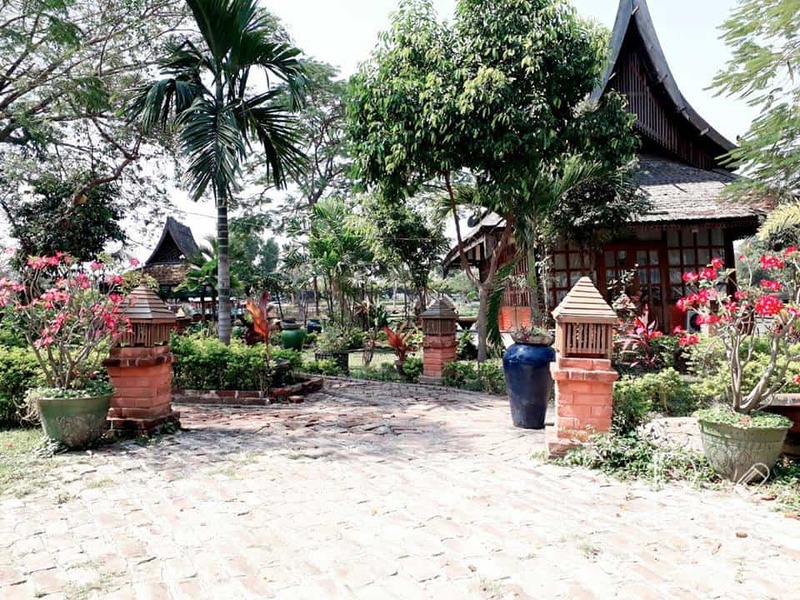 As you wander around the village, you will find stupas dotted all over the countryside and there is also an equally picturesque pagoda in the center of town which is made of shiny teak. Twin Taung is another scenic village close to Monywa and makes a nice place to visit if you want to travel in the local area. 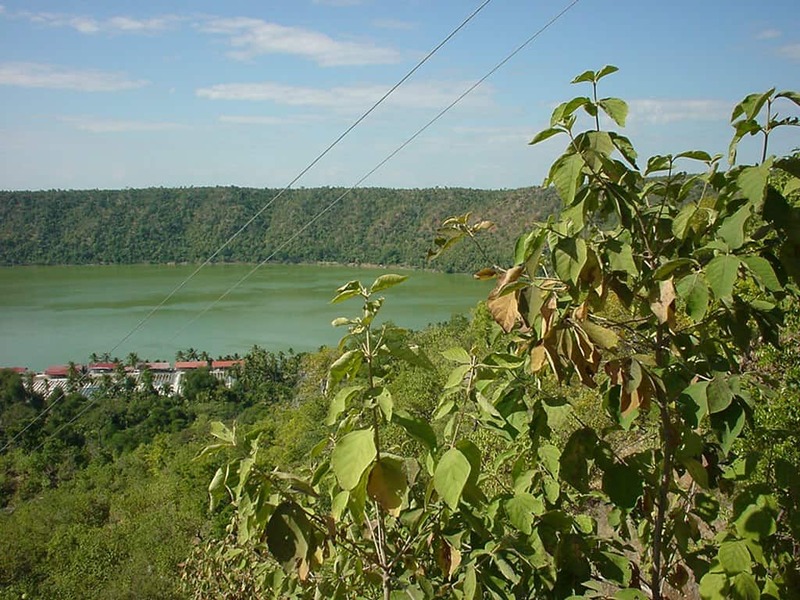 Twin Taung is known for its lake which also has a rare supply of spirulina which is harvested and then used to make cosmetics and health products. One of the best things to do here is to go for a walk around the lake and take in all the lush beauty of this village on foot. Shwezigon Paya is widely said to be the most beautiful temple in Monywa. 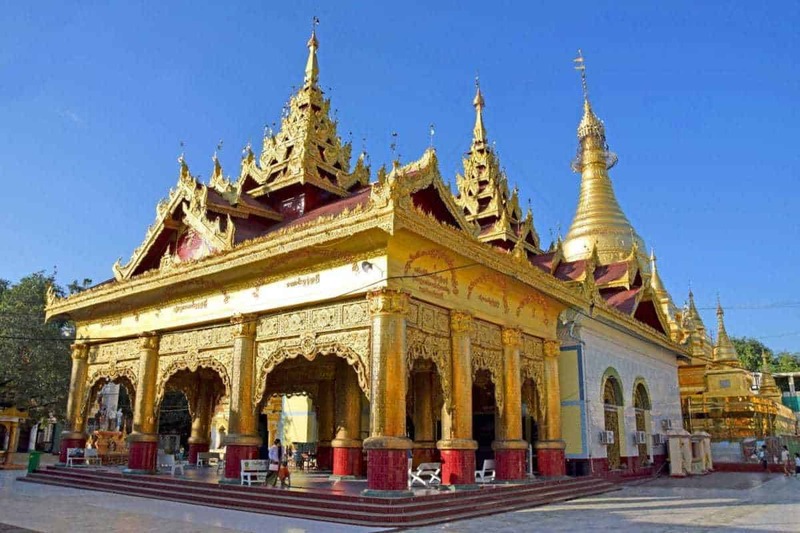 Whether you agree or not, it is certainly the grandest and you will find that the temple is covered in gild work which means that it shimmers in the fierce Burmese sun. It is also conveniently located in the center of town close to the local clock tower so you can’t miss it when you walk around. The name might be slightly kitschy but Pleasant Island is actually a delightful spot in Monywa that is located on the central lake. The island is tiny and also the location of a little restaurant which is the only real reason to come here. It is more than worth it however as you get to cross a rustic little bridge made of wooden planks. The restaurant serves a range of dishes such as Burmese, Chinese, Thai and Indian plates and you can soak in the atmosphere of the lake as you dine in the little waterside pavilions. Anyone who likes temples should make sure not to miss Su Taung Pye Zedi which is a pretty pagoda that is located next to the central clock tower. The temple is one of the most colorful and vibrant in the town and makes a nice change of pace to others in the region thanks to its eye-catching design features. 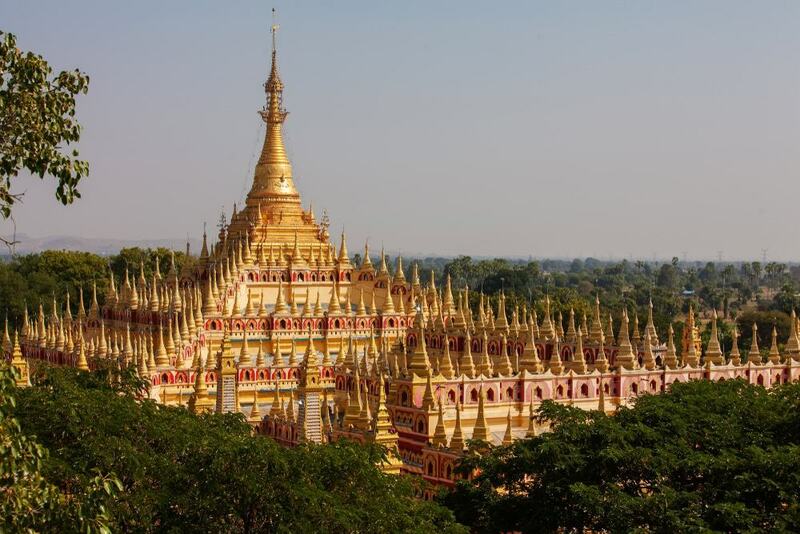 Monywa is not particularly well known on the tourist trail in Myanmar, so it may be slightly surprising to visitors to know that there is a wide and varied food scene here with plenty of choice. Some of the best places to dine include the charming Burmese teashops that can be found all over the city and where you can get local snacks like tea leaf salad and fried treats. 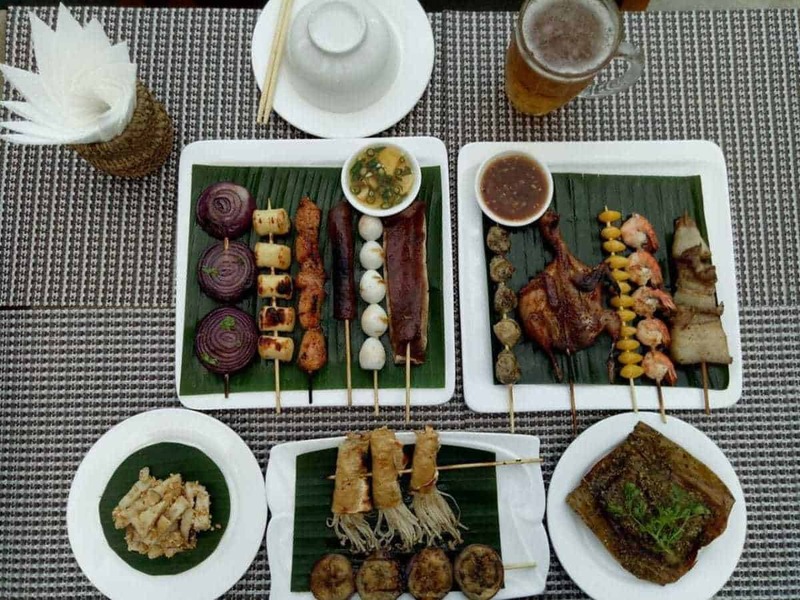 You can also dine on delicious curries in Monywa, or you can get a wide variety of international fare like burgers and pastries as there are a few bakeries in town that cater to those looking for bread based bites.